Dentists can help you take care of your oral health by cleaning, educating and other treatments. Apart from these, they can help to improve your aesthetics or appearance. Cosmetic dentistry places the importance on appearance, though function will have to be considered as well. Cosmetic dentistry usually encompasses dental treatment for non-health reasons, taking into account the individual patient’s preferences. One aspect of cosmetic dentistry is orthodontic treatment, also commonly known as braces. This can help to straighten crooked teeth while improving their functionality. If you would like to have orthodontic treatment but prefer to have a less obvious appliance, you can choose between the ceramic braces or Invisalign options. Orthodontics is a more conservative option to fix a cosmetic issue and is a long standing cornerstone of cosmetic dentistry. Patients feel increased confidence after teeth straightening treatment as it has improved aesthetics as well as function. It can also allow for easier and thorough brushing and flossing. Teeth whitening is another common cosmetic procedure. There are two types of teeth whitening treatment – in-chair whitening and take-home whitening. For in-chair whitening, there will be instant results but it is more expensive. For take-home whitening, the results appear gradually. However, teeth whitening may not result in a bright white smile in severe discolouration cases. There are other limitations such as whitened teeth may not match the shade or colour of existing fillings or crowns or bridges. Smoking stains the teeth and the whitening effect may not last as long. If your front teeth are misshapen or severely discoloured, crowns or veneers may be placed on. You will have to discuss with your dentist your goals and your lifestyle and habits. For example, smoking can still discolour crowns and veneers. 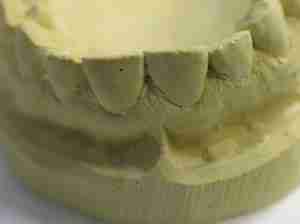 Teeth grinding can make veneers more susceptible to breaking or chipping. A crown will require more removal of natural tooth structure and the use of crowns for cosmetic treatment is case-by-case after careful assessment. Veneers can be done quickly instead of having wait for completion of orthodontic treatment which may take years. However, crowns and veneers may need replacing in the long run, depending on the upkeep. In some cases, there is a combined treatment of orthodontics and then crowns or veneers. Tooth-coloured fillings can be done to repair small cavities or chips in front teeth. Cosmetic dentistry procedures are elective and you should consider your goals and preferred outcome and discuss with your dentist before you embark on improving your smile.